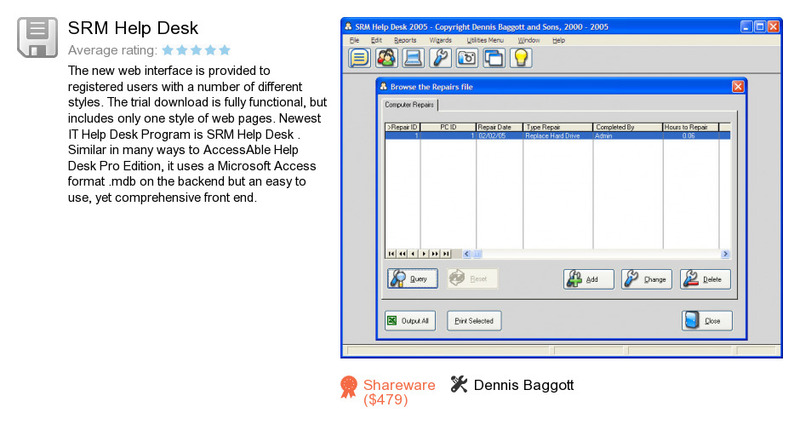 SRM Help Desk is a software product developed by Dennis Baggott. We know of version 1.0. Version 1.0 is available for download at our site. SRM Help Desk package has a size of 10,027,496 bytes. Dennis Baggott also publishes My Problem Solved.